I am part of the Mom It Forward Blogger Network and was compensated for writing this post but all opinions are 100% my own. We all have them; those moments in time when we wish we could turn back the clock just a bit. If I had to guess, I would say a large percentage of you reading this have had at least one in your lifetime. What was yours? I am dying to know! Was yours a wardrobe or a laundry malfunction that made you blush? Did you mistake someone for another and they thought you were from another planet? Sadly, I have a plethora of embarrassing stories to tell. As a matter of fact, I have so many, choosing just one would take me a few minutes. The important thing about experiencing these awkward moments in time is how we #BounceBack from them. We have a choice to tuck tail and run or to hold our head high and plunge forward. How do you choose to #BounceBack from your life’s embarrassing moments? I know for one of my most memorable, had I been privy to a Bounce Fresh dryer sheet, I would have avoided it altogether. The P&G Company has almost 5 billion customers who enjoy their over 50 brands, including the Bounce Fresh products. Many households trust the P&G brands in their home for themselves and their family. Their main goal is to make the best products possible with the finest quality materials from all corners of the world. It is hard to believe that one of America’s favorite dryer sheets has been around since the early 1970’s. The original Bounce dryer sheets, which now have 7 different scents, are twice as effective as other brands. They provide softening and freshening, as well as static control and lint and hair repellency, which is perfect for pet owners like myself. You can find Bounce dryer sheets at major retailers in the 150 count box for a suggested retail price of $4.89-5.99. 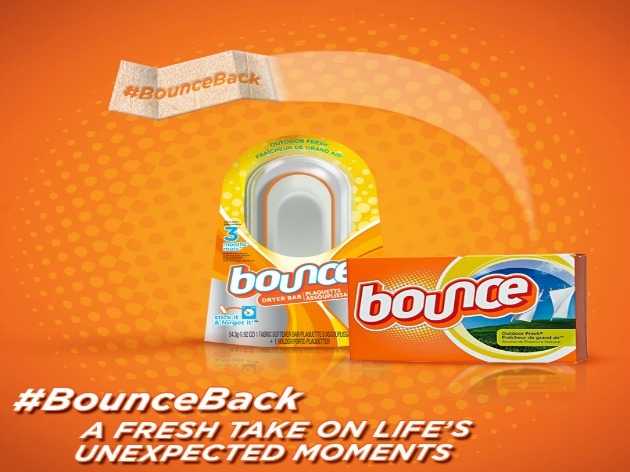 To help you #BounceBack fro life’s embarrassing moments, you can find other products in the Bounce line. In addition to the Bounce Bar that can be found in many dryers all over the place, you can also find the Bounce Lint and Freshness Rollers and the Bounce Ironing Spray. These awesome products can help you #BounceBack from outside the dryer to keep things from sticking where they do not belong. 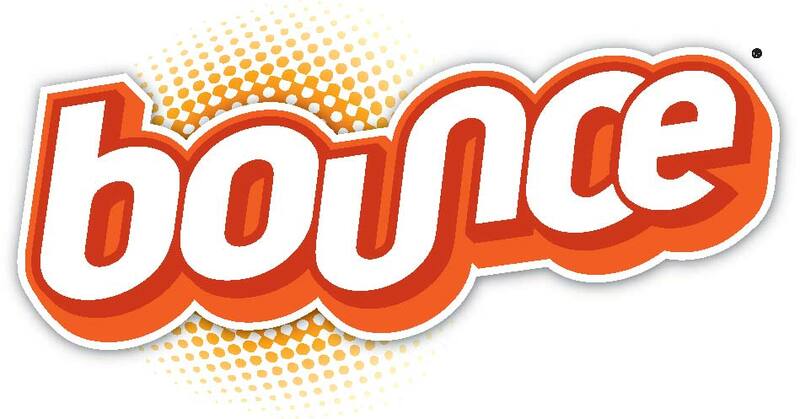 One of my life’s embarrassing moments was a double whammy, which led me to the Bounce brand. When I was just 21, I was a secretary for a large real estate developer. I had been invited to a meeting in the leasing office and I wanted to make a great first impression. I bought a new dress when I was getting dressed, I splashed some water on myself. I grabbed a dryer sheet and tossed the dress in the dryer for a few minutes. I hurriedly got re-dressed and arrived at my meeting just in the nick of time. Little did I know that not only did I have my dress halfway up my bum, I had an extra pair of pantyhose clinging to me. Oh what humiliation I could have avoided if I had been using the Bounce dryer sheets with their amazing static control! Bounce would love to see your Vine videos and stories on how you have been able to #BounceBack from an embarrassing moment in your life. I would like to hear about your stories in the comment section of the blog so we can all have a giggle and see that we are not alone in our awkward moments in life. Be sure to keep up with Bounce on Facebook and Twitter.